Oklahoma is home to such a plethora and vast array of amazing and talented musicians and artists, and this month’s spotlight artist is definitely among those ranks. You might already be familiar with the soulful and fiery style of Ali Harter, who has been a consistent staple in the Oklahoma music scene for at least the last decade. Harter got interested in playing music as a youngster, falling in love with the idea of becoming a rock star after watching a music video. “When I was younger I wanted to be a rock star. I saw that Supergrass video for ‘Late in the Day’, it's all black and white in the opening scenes with the lead singer sitting on a couch playing a song acoustic. There's like smoke coming out from the ashtray and for some reason in my young prepubescent mind I was like ‘I want to do that’, and it was kind of downhill from there,” explained Harter with a throaty little chuckle. Harter credits the unwavering support of her parents for helping her achieve that goal as well. She started her musical journey playing a violin that her parents bought for her at Granny’s Music Mall, which in a weird twist of fate ended up being a stolen instrument which the police later came and picked up and returned to the owner. Harter said this was fine because she learned pretty quickly that violin or even fiddle playing as she tried to turn it in to, wasn’t really for her. After that short stint with her first instrument her parents got her a white Fender Gemini guitar which she learned to play on. Now Harter has been playing music for about fifteen years in front of people, and no doubt she has come a long way from that school talent show. Harter’s unique voice carries a husky and raw feel to it, filled with soul and vibrato. She has a way of changing her voice as needed in her songs, from being strong and throaty to light and tender. Harter’s songs are deep and meaningful and take a good long look at the human condition in many ways. She’s a very talented songwriter, and her lyrics paint detailed pictures and great stories. Her style undoubtedly falls in the red dirt family, she has the genre blending skills of the scene which includes folk, country, soul, and even a little bluegrass and rock and roll. 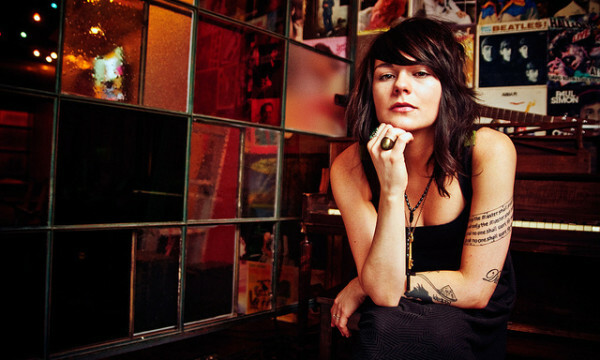 In addition to doing her own thing in the music scene, Harter also paired up with Kierston White and Eliza Bee several years ago and helped form the Oklahoma female super group, The Tequila Songbirds, which is still active. Harter has worked on several compilations and collaborations and has put out two of her own albums to date, Worry the Bone (2007) and No Bees, No Honey (2010). She also has an album that is done as far as recording goes, and has just been stuck in limbo for the last couple of years. With the help of a successful kickstarter she was able to get the album recorded, but she also went a bit over budget in it as well, which stalled it out a bit. In addition to that, her personal life at the time was taking a hit and the album took a backseat to a separation, a divorce, deaths and births. However, Harter said she has a friend in California who is helping her with some of the remaining costs of getting the album mixed, mastered and pressed and she hopes to have it out sometime this year. “It’s going to be one of those things that when it comes out it's going to be a rebirth in a way. I know there's a lot of people that are pissed at me for not getting it out as fast as I said I was going to, but man I don’t know, it’s been a journey,” said Harter. Harter has a way of just keeping it real and not trying to beat around the bush or sugar coat anything, which gives her a definite genuineness and authenticity about her. She’s also clearly not the delicate lady kind of gal, but instead carries herself in a way that makes you think she’s as tough as nails. She’s spirited and brassy, covered in tattoos and usually sporting a trucker’s hat, she has an almost gruff style all of her own, which doesn’t detract from her natural beauty in any way, but amplifies it in a way that few can pull off. Harter has some great stories of serendipity in her musical career so far as well, at just being at the right place at the right time. One of those was when she was hired to close out the ceremony at the Trail Dance Film Festival in Duncan Oklahoma in 2010. One of the people there at the festival was a producer for the TV Show Grey’s Anatomy and he approached Harter and said he really enjoyed her music and wanted to use it on the show. Within just a few weeks two of her songs, “You Can Keep Em” and “Untitled Number 3” were featured on episode 16 of the 6th season of Grey’s Anatomy. That wasn’t her only chance opportunity from being in the right place at the right time though either. Harter was on tour in Lincoln Nebraska several years back, and she was playing in a place called Duffy’s as the opener for a local band in that area that she really liked. After the show a country-esque guy in a ball cap who had a couple handlers with him and was surrounded by pretty girls came up and told Harter that he really liked her stuff and asked if she would be interested in opening for him the next night in town. Harter already had a gig lined up in Des Moines Iowa the next night so she thanked him but politely declined, much to the guy’s surprise. He told Harter he would be at the bar if she changed her mind. Harter credits her success and her good luck to not only playing as many gigs as she can but also never turning anything down unless she absolutely has to. She stays plenty busy these days not only with her music, but Harter is also the mother of two beautiful little girls, as well as working at a bar, and running her own leather art business called the Pigs Fly Shop. In addition to leather work, Harter also does artwork for herself and other musicians. She has many creative talents and enjoys using them all. Harter recently volunteered a week of her time for the OKC Rock Camp for Girls, teaching kids aged 8 to 16 how to play guitar and just helping keep the camp running smoothly in any way that she could. She is full of passion and heart for music and the scene. You can find Harter’s music on Itunes and Spotify, and you can find out more about her and her upcoming shows on her various social media accounts including Facebook and Instagram.